The neuropeptide hormone oxytocin is well known for its role in birth and lactation. Oxytocin additionally mediates maternal and social bonding and behaviour while acting on the hypothalamic–pituitary–adrenal (HPA) axis to buffer stress responses under certain conditions. 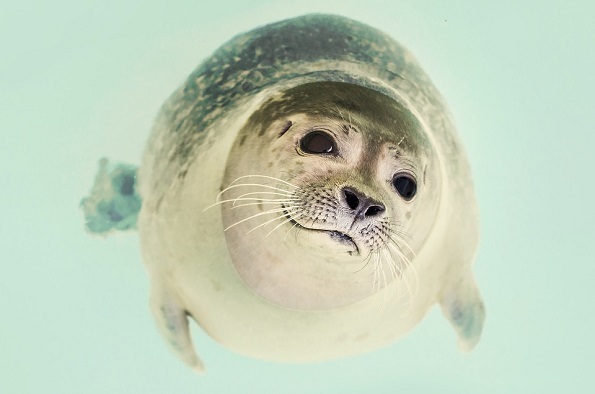 Phocid seal species typically live in highly contrasting social environments throughout the year, living mostly solitary lives at sea foraging until they aggregate in dense colonies to breed. We investigated plasma oxytocin concentrations in grey seal mothers (Halichoerus grpyus) in relation to their maternal behaviour and the energetics of maternal care in this species. We then used oxytocin manipulations on unrelated seals from the same colony to investigate the hormones effects on social behaviour towards individuals outside of the mother-pup dyad. High oxytocin mothers maintained closer proximity to their pups, reducing the likelihood of separation and pup starvation, the largest cause of death for dependant grey seal pups. Mothers with high oxytocin levels additionally produce pups with high oxytocin levels and greater rates of mass gain throughout lactation, without additional energetic costs to the mother. Oxytocin elevation and associated fitness benefits may therefore connect optimal parental or social environments with direct physiological advantages for individual development. Oxytocin manipulations on unrelated seals had a significant impact on the amount of positive social behaviour recorded between individuals, with reduced aggression and more time spent in close proximity to each other. The elevation of oxytocin due to breeding events may therefore have additional pro-social effects, facilitating tolerance of surrounding colony occupants and enabling this species to live at both ends of the social spectrum at different times of year. Reduction of aggression towards conspecifics is often cited as a crucial step in the evolution of sociality, and through the interaction of reproductive hormones and social behaviour, aggregations of breeding individuals may waste less energetic resources on costly aggressive interactions while gaining greater reproductive success.